71,43 € прибл. 5.140,95 руб. The Hohner Bob Dylan Signature C-Major Signature Harmonica has an enhanced sonic versatility and produces both uncharacteristically warm tones while also achieving a brilliance or ‘brightness’ that allows musicians to more freely express themselves. This harmonica is appropriately named the Bob Dylan Signature Series. 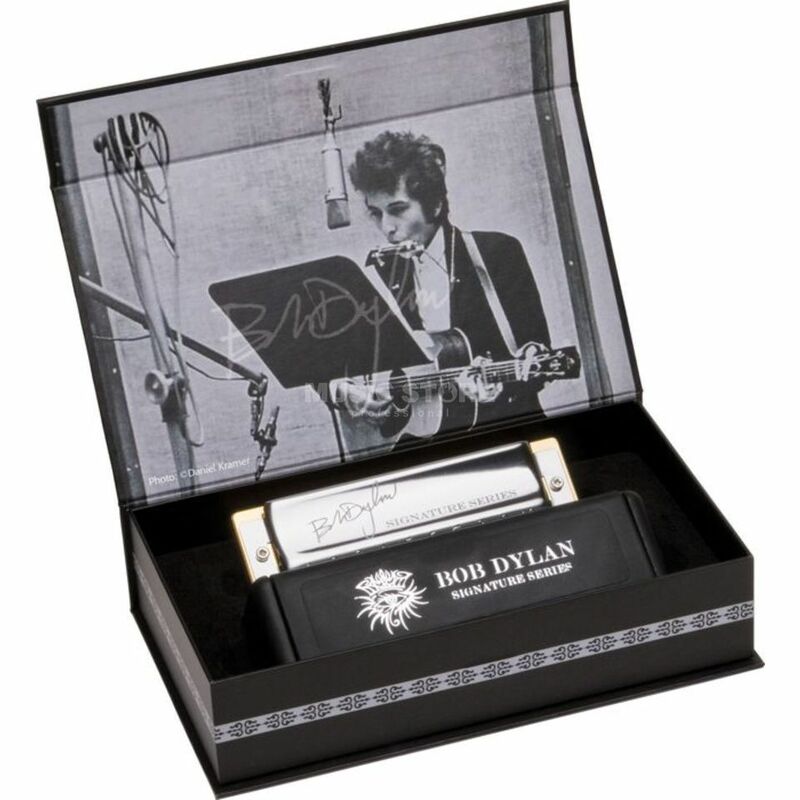 It features custom cover-plates bearing Dylan’s signature, a carrying case embossed with Dylan’s “Eye” logo, gold plated reed plate and an outer gift box featuring an exclusive picture of Dylan in the inside cover.